President Muhammadu Buhari has approved the recommendation of the committee charged with investigating the defence equipment procurement from 2007 to 2015 after the committee found a number of irregularities in the contract awards. The approval followed the third interim report of the presidential committee on the audit of defence equipment which was released on Thursday. a statement from the president of the presidential committee on the audit of defence equipment procurement in the armed forces, Air Vice Marshal Jon Ode retired , says among those to be investigated are 18 serving and retired military personnel, 12 serving and retired public officials and 24 chief executive officers of companies in the procurement. The affected military personnel include among others two former Chief of Army Staff, Lt General Ihejirika and Lt. General Mnimah. The public officials include former minister of state for foreign affairs 11, Dr. Nurudeen Mohammed and three former permanent secretaries in the ministry of defence, Bukar Goni Aji, Haruna Sanusi and E.O Oyemomi. The committee says the total amount spent for procurement and operations within the period were over 185 billion naira and 68.3 million us dollars. The president stated this at an audience with ambassador Nasser Bourita a special envoy of King Mohammed the sixth of Morocco. He said Nigeria is in a hurry to see the planned ambitious projects take off in the agricultural sector. The Federal Government has warned those perpetrating acts of lawlessness and fanning the embers of disunity and destabilization to stop forthwith as appropriate steps have been taken to decisively deal with such threats to national security from any quarter. President Muhammadu Buhari gave the warning while addressing officers and soldiers of the Nigerian army on location at the live field training exercise in Dansadau Village in Zamfara state to round off the 2016 army day celebration. Vice-President Yemi Osinbajo has commended the Nigerian Medical Association for the orderly conduct of its election and transition from one leadership to another. He made the commendation at an event organised by the Nigerian Medical Association in Abuja. The Vice-President said President Muhammadu Buhari holds medical practitioners in high esteem and has demonstrated this by appointing four of their members as ministers. The Minister of Health Professor Isaac Adewole decried the incessant strikes in the health sector and called on all stakeholders to come together to iron out all grey areas. A report from the National Assembly says the Senate has acknowledged receipt of President Muhammadu Buhari’s request for the confirmation of the acting chairman of the EFCC Ibrahim Magu. The House of Representatives has approved the sum of two hundred and forty one point four billion as the FCT’s statutory budget. The house is to also investigate the disbursement and utilization of bailout funds to states. The Nigerian National Petroleum Corporation says that the industrial action embarked upon by members of the petroleum and Natural gas senior staff association of Nigeria PANGASSAN has been called off since Tuesday this week. Federal Ministry of Health Launches Saving One Million Lives Initiative. The Ministry of Health has launched the first disbursement of funds to states and FCT to commence saving one million lives initiative program-for-results. At the launching in Abuja, minister of health professor Isaac Adewole said the Buhari administration is focused on improving health care delivery for national development. The International Federation of Diabetes reports that by the year 2035 there will be an increase in diabetic cases with eighty percent of the increase in developing countries. 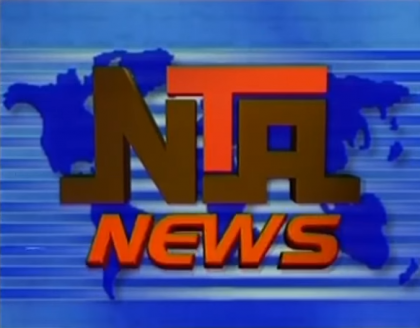 Experts on NTA’s current affairs programme good morning Nigeria emphasised that prevention is key while calling for a legislative framework to help in the management of the disease. Information and Culture Minister Lai Mohammed says the present administration has put in place policies that will help drive the nation’s economy and eliminate poverty. The Minister stated this when the Japanese ambassador to Nigeria Sadanobu Kusaoke visited him in Abuja. Two thousand, two hundred and fifty nine new lawyers have been absorbed into the legal professional in Nigeria. This was done at a call to bar ceremony held at the international conference centre, Abuja, which was attended by wife of the president, Aisha Muhammadu Buhari.